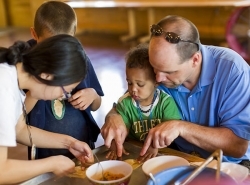 The mission of Concordia Language Villages is to inspire courageous global citizens. In this Blogpost, we send a message to all in the CLV community about our thought leadership discussions over the last year that helped shape a new way of capturing what is at the core of our educational goals. 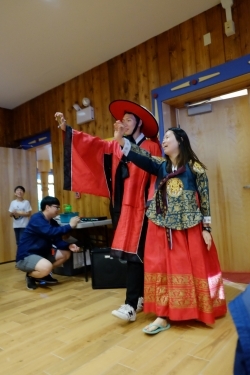 Since 1961, the J-1 Exchange Visitor program has allowed citizens of other nations to participate in cultural exchange programs in the United States. This exceptional program is now under review and at risk. 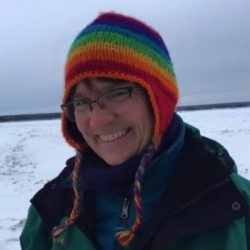 Christine Schulze outlines why the J-1 program is so valuable, both for the Villages and for the world. 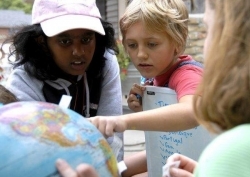 In this blog, travel writer Marshall S. Berdan identifies the two things holding most American school children back from fully participating in—and profiting from—the new global economy: world language skills and a global mindset. 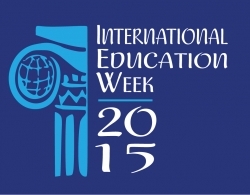 But there are things that parents can do, both inside and outside the educational system. A newly published book, Nordic Ways, provides insight into the Nordic model shared by Denmark, Finland, Iceland, Norway and Sweden of “hard-core economies with a heart.” Each of these countries places significant emphasis on gender equality, contributing to their overall strong economic performance. In celebration of International Women’s Day this week, we highlight the notable contributions that the Nordic nations have made to advancing gender equality in the workplace. 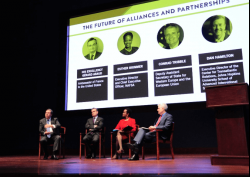 On February 9 I had the pleasure of participating in a strategic dialogue at the U.S. Capitol that brought members of Congress and the diplomatic community together with the leaders of people-to-people exchange programs from cities and towns across the country. The host, Global Ties, an organization that works with the State Department to host international visitors in U.S. communities, had asked us to look at the future of transatlantic people-to-people exchanges between the United States and Europe. 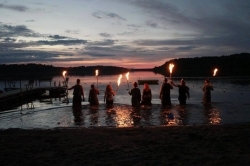 Every summer about 20,000 young adults from around the world join their college-age peers as camp counselors in thousands of camps across the country. 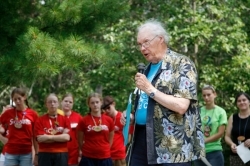 International staff participate in all kinds of programs: science camps, sports camps, wilderness camps and language camps. For many, this is their first experience in the United States. 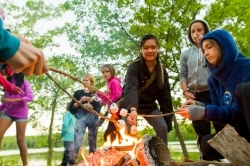 This is citizen diplomacy at its best, made possible by the U.S. State Department’s J-1 Exchange Visitor program that has a category specially designed for camp counselors. 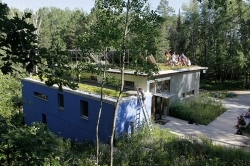 Villagers get hands-on experiences with sustainability on the green roof of the BioHaus.. It was my privilege to have worked on the first certified Passive House building in the Americas = das BioHaus at Waldsee – the German Language Village at Concordia Language Villages (CLV) in Bemidji, Minn. Celebrating the 10-year anniversary causes me to reflect on how quickly time passes and the importance for all of making immediate, lasting improvements. I have just returned from the German-Polish border, where on these days in 1945 the Soviet and German armies faced off against each other on the Seelow Heights—their final big fight before the battle for Berlin ended World War II in Europe. Sow Peace. Change the Climate. Villagers can change the climate at the CLV Environmental Summit. 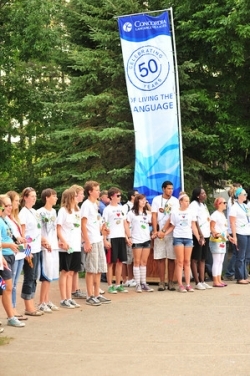 Earth Day is particularly resonant for Concordia Language Villages. Since the first Earth Day began as an ‘environmental teach-in’ on April 22, 1970, the world’s languages have been enriched with a whole new vocabulary. Lynn Elling joins us at the Peace Site on International Day. I’ve been attending the UN Climate Conference in Paris. It’s a whirlwind of people, places, ideas and attending events. I can’t help but think of all the simulation games we do at CLV: Global Summit negotiations at International Day or other role-playing activities that are an effective learning strategy. It is powerful when kids can put themselves in the place of another and experience a different perspective.